This light up candy is one of the coolest we've ever seen, and we've been in the candy business over 70 years! 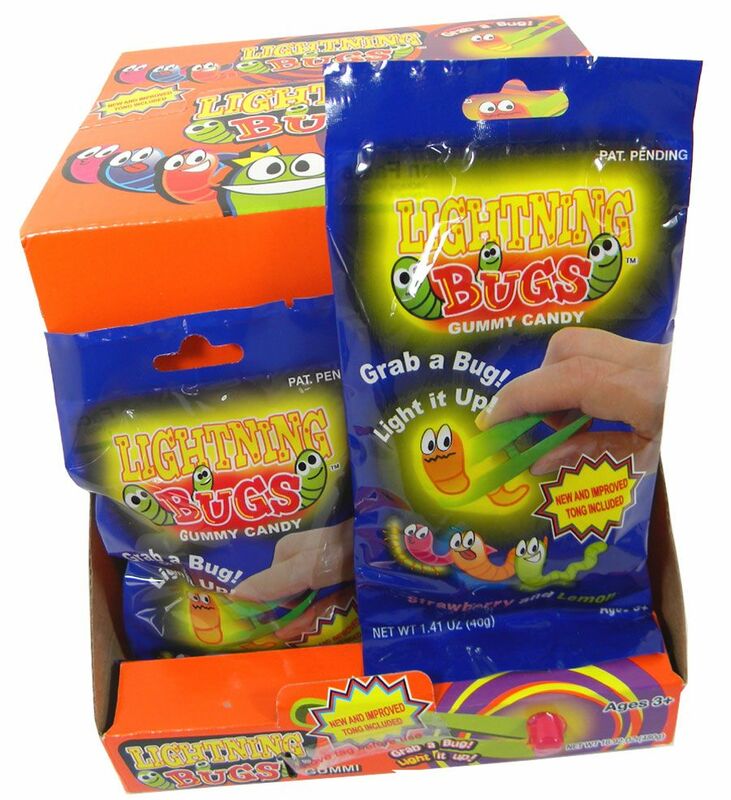 The magic of lightning bug candy is actually in the included tweezers, so even after you've lit up and eaten all your bug gummies, the fun is far from over! 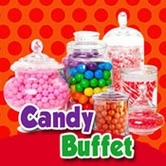 Kids can use these to light up candy, gummy fruit snacks, and more. 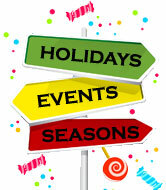 Check out the reviews below for some awesome ideas! 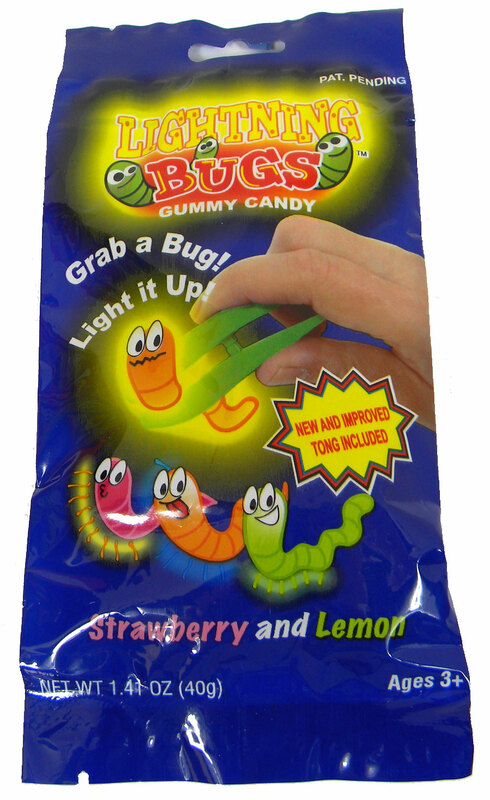 Fresh and fruity bug gummies! I am a teacher of 4-year-olds. After the candy is gone, my students use the tweezers to develop their fine motor skills by picking up little pompoms, erasers, buttons etc. At workshops I present, I often give out packages as door prizes. They are always a big hit! Glad I found them at this site!!!!!! Hosted a "lightning bug party" for my kids this summer, and gave these out as prizes to all of the kids. They LOVED them!!! And, the fun didn't stop after all the candies were gone...they used the tweezers to light up anything else they could find!!! Great, fun product!! !